NEW YORK (April 28): The Nasdaq Composite ended at a record high on Thursday, boosted by results-related gains in Comcast, PayPal and Intuit, while the S&P 500 and the Dow were little changed. The tech-heavy index is likely to extend its record-breaking string of gains as heavyweights Amazon and Alphabet jumped more than 4 percent each after the bell, following stellar earnings. Earnings were back in the spotlight, a day after the Trump administration unveiled its tax reform priorities without details on how the reform would be paid for, raising questions on whether deficit hawks in Congress would support it. Comcast rose 2.1 percent to $39.59 after touching a record high of $40.62 as strong subscriber growth brought a forecast-beating profit. Overall profits of S&P 500 companies are estimated to have risen 12.4 percent in the first quarter, the most since 2011, according to Thomson Reuters I/B/E/S. "Most folks were expecting a build in earnings acceleration and that’s what we’ve got. Despite all the economic and geopolitical noise, ultimately the market has been responding to improving earnings," said Michael Arone, chief investment strategist at State Street Global Advisors in Boston. He said a premium has been built into stock prices on bets of tax reform and other policies expected from the Trump administration, so "when that is in question you see a sideways action." U.S. businesses would mostly benefit if President Donald Trump's plan to cut corporate tax rates and slash taxes on cash parked overseas becomes law. But the economic benefits and the timing of a possible bill remain in question. 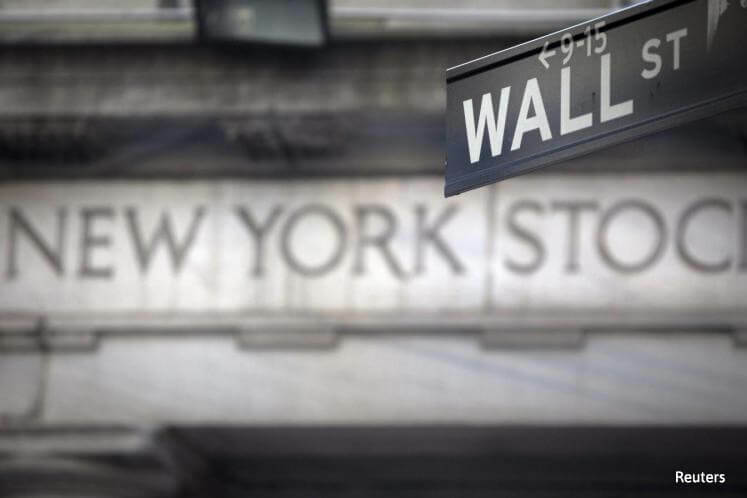 The Dow Jones Industrial Average rose 6.24 points, or 0.03 percent, to 20,981.33, the S&P 500 gained 1.32 points, or 0.06 percent, to 2,388.77 and the Nasdaq Composite added 23.71 points, or 0.39 percent, to 6,048.94. In after-hours trading, Amazon added 4.1 percent to $955.92 while Google's parent Alphabet jumped 4.5 percent to $931.91 as both continue to race to $1,000. Alphabet jumped as Google's ad revenue rose 18.8 percent to $21.41 billion in the first quarter, while Amazon reported revenue and profit that topped analysts' estimates. In regular market hours, Intuit rose 8.5 percent to $125.61 after it reported consumer tax-season results and reiterated its quarter and full-year forecast. PayPal shares hit a record high a day after it raised its earnings outlook and reported higher-than-expected quarterly profit. Sportswear maker Under Armour shares jumped 9.9 percent to $21.67 after it posted a smaller-than-expected quarterly loss. Energy was the biggest decliner among the 11 major S&P 500 sectors, falling 1.1 percent on the back of a 0.8 percent decline in U.S. crude futures. American Airlines dropped 5.2 percent to $43.98. The company said it had offered a mid-contract pay increase for pilots and flight attendants that JPMorgan analysts called "a wealth transfer of nearly $1 billion to its labor groups." Indexes ticked up but declining issues outnumbered advancing ones on the NYSE 1.03-to-1 while on Nasdaq a 1.15-to-1 ratio favored decliners. The S&P 500 posted 76 new 52-week highs and 3 new lows; the Nasdaq Composite recorded 180 new highs and 45 new lows. About 7.18 billion shares changed hands in U.S. exchanges, above the 6.5 billion daily average over the last 20 sessions.